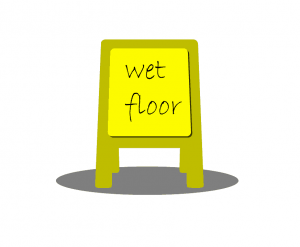 Premises liability is a branch of personal injury law. This legal area covers injuries that happen to people while on property belonging to someone else. Slip and falls are a type of premises liability case. These accidents are no laughing matter. They happen far more often than most people realize. Roughly 1 million people each year experience a slip and fall, or trip and fall accident. Many of these unlucky people are injured as a result. Business owners have to keep their premises safe, so as to avoid negligently allowing any lawful visitors to the property to become injured. If a property owner’s negligence causes someone to slip and fall, that person can potentially file a claim or lawsuit against the property owner. Business owners are required under Massachusetts law to take reasonable measures to avoid the occurrence of slip and fall accidents to its customers and employees. Landlords too are held to this legal standard of reasonableness when it comes to keeping their property safe. 1) Always make sure to have regular, periodic sweeps to check for the presence of leaks or spills. 2) Make sure the premises are always adequately lighted. 3) Secure all carpets and rugs so they are properly placed and adhered to the floor. 4) Make sure all snow and ice is promptly treated and removed as soon as possible. 5) Make sure all areas of a construction zone are safe and free from slipping and tripping hazards. 6) Make sure all stairways have code-compliant handrails, and riser heights. 7) Pools and trampolines are huge liabilities, so if possible, safeguard them as much as possible. Ideally, get rid of the trampoline. 8) Make sure all workplace floors and surfaces are reasonably safe from slipping hazards as many workers compensation claims stem from slip and fall accidents. 9) Making sure to closely monitor nursing home residents so they are not exposed to slip and fall hazards. No matter how careful businesses and landlords are, people will at some point likely slip and fall on their premises. No matter what type of slip and fall accident you may have had, it helps to have legal representation on your side. Call the Law Office of Christopher Earley today for help.